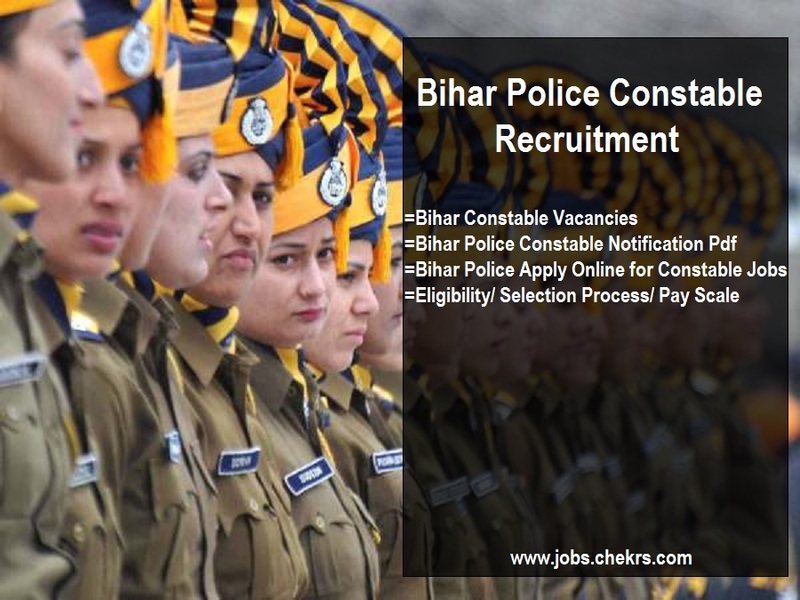 Bihar Police Constable Recruitment 2019 (बिहार पुलिस कांस्टेबल भर्ती- नवीनतम नौकरी रिक्ति नोटिफिकेशन ऑनलाइन आवेदन करें): Central Selection Board of Constable (CSBC), Bihar is going to release the notification for Bihar Police Constable Recruitment 2019. Aspirants who are eagerly waiting for the Bihar Police Vacancies 2019 and wants to make a career in Police Department they can apply online for the Application Form on or before the last date. Read the whole article to know more about Eligibility Criteria, Educational Qualifications, and Bihar Police Constable Exam Dates. The Central Selection Board of Constable (CSBC), Bihar has been released Constable and Fireman Recruitment 2019 Notification on the official website to fill up the vacant posts. The Bihar Central Selection Board (BCSB) has published the Bihar Police Sipahi Bharti 2019. Interested candidates can apply on or before the last date. Aspirants who are searching the current Bihar Constable Vacancy 2019 can fill Bihar Police Constable Application Form. So candidates should stay in touch with the page for updates about Bihar Police Recruitment. Following are vacancy details for the post of constables released by the Bihar Central Selection Board. Candidates are advised to read the complete notification before applying for the Bihar Constable. In this article, you will all the questions regarding age eligibility, Education qualifications etc. Candidates should be 12th passed or its equivalent from a recognized board. Age should be between 18 to 23 years. Age relaxation criteria are also mentioned for some of the reserved category candidates. The application fee for categories is as follows. Visit the official site of CSBC. Click on the Online Application for the post of Driver Constable and Fireman Driver. Again Click on Apply for Post of Driver Constable and Fireman Driver Link. Click on the Click Here for New Registration. Fill the all required details and click on submit button. The Registration no. and Password will be sent to the Registered Email ID/ mobile. Enter the Registration Number and Date of Birth and click on Login button. After Login fills the complete details with correct information. After complete, the online application process candidates can take an application form print out for further uses. Eligible candidates have to appear for these important events decided by the Bihar Central Selection Board. Check here all the important events. Bihar police constable selection process consists of three phases. Appeared candidates have to clear the cut-off, decided by the recruiting Body generally candidates have to obtain more than 30% to qualify the written exam. Those who will clear the cut-off will be called for physical test and Personal Interview. In case of any query or review about Bihar Police Constable Recruitment 2019, your valuable comments are most welcome in the commenting section below and our team will get in touch with you shortly.